Back at the rectory, we have a couple of fig bushes that have grown to be very large. One of them is growing over the path that leads from the rectory to the Church. Some weeks ago, I asked Fr. Vander Woude if I could chop the bush down. He replied that there is a family that would kill me if I did that - they love fig bushes and would hate to see me kill one. So, I called up the family and sure enough - they volunteered to move the fig bush. I was trying to find some parallels in my situation at the rectory to the parable our Lord tells in today's Gospel. Sadly, I discovered how my was are not the Lord's ways. In fact, they're the exact opposite. In the parable, the gif is fruitless. In my situation, the fig is in great shape - in fact, it's too big. In the parable, God demands that the bad fig bush be cut down. In my situation, Fr. Vander Woude says that we ought to save it and it is me, the priest who most resembles the gardener who wants to cut it down. I've got it all wrong - a good indicator of how much more the Lord wants to teach me. As simple as the parable of the fig tree is, we should not miss some of the important lessons that our Lord is trying to teach us, especially that of our need for penance and reconciliation. 1. Postponing reconciliation with God is not a good idea. The Lord, through His Church, has made it so easy - The Sacrament of Penance. We can all come up with a dozen excuses why we will put off Confession, even when the parable tells us that we can't put it off forever. Time does run out. Before he converted to the Faith, St. Augustine said, "I want to be a saint, but not just yet." This cannot be our attitude. Scripture says, "Now is the acceptable time!" 2. We need to exercise a gift that we received at baptism: the gift of the Holy Spirit known as Fear of the Lord. this gift is not a purely natural, servile fear whereby we worry that if we sin, God is going to annihilate us. Rather, this gift is the wholesome awareness of spiritual danger - a reverence for the power and the justice of God. This awareness should move us to want to reconcile with God and the Church through the Sacrament of Penance. Remaining in a state of serious sin is a grave spiritual danger and this gift of the Holy Spirit helps us to recognize that fact. Moreover, this gift of Fear of the Lord inspires us not to want to offend God by our sins due to a reverence for Him and His law. 3. To put it bluntly, hell is a real place and people go there. Our Lord mentions it regularly in the four Gospels and assures us that condemnation awaits those who do not cooperate with God's plan. I am amazed at the number of Catholics who believe that hell does not exist. St. Padre Pio is quoted as having once told a man who didn't believe in hell that, "You'll believe it when you get there!" Maybe one of the greatest tricks that the devil has played on man is to convince him that he doesn't exist. Similarly, we should not presume that everyone goes to heaven. The door to heaven is called "the narrow gate" by our Lord, and St. Paul continually exhorts us to work anxiously for our salvation. If heaven were guaranteed for all of us, then why would our Lord and St. Paul give us strong indications that there are in fact no guarantees of salvation for every person? 4. Lastly, God expects us to be fruitful in our lives. Notice that in the parable, the gardener places the fig tree's fruitfulness as a condition for it being spared. The gardener is willing to work with the fig tree, but he won't keep the tree at all costs. Similarly, we must bear fruit in our lives - we must have something to show for at the end, when we make an accounting in front of the orchard owner. It is not enough to work to secure our own salvation - we need to take others with us as well. Finally, you may be wondering about the references to the Galileans who were murdered by Pilate or the eighteen people killed in a tower accident at Siloam. Our Lord warns us that while these incidents were not punishment for sins, sins are nevertheless subject to punishment. So, even if we are not motivated to come to Confession due to the gift of the Fear of the Lord, fear of punishment may be enough to move us to repentance. 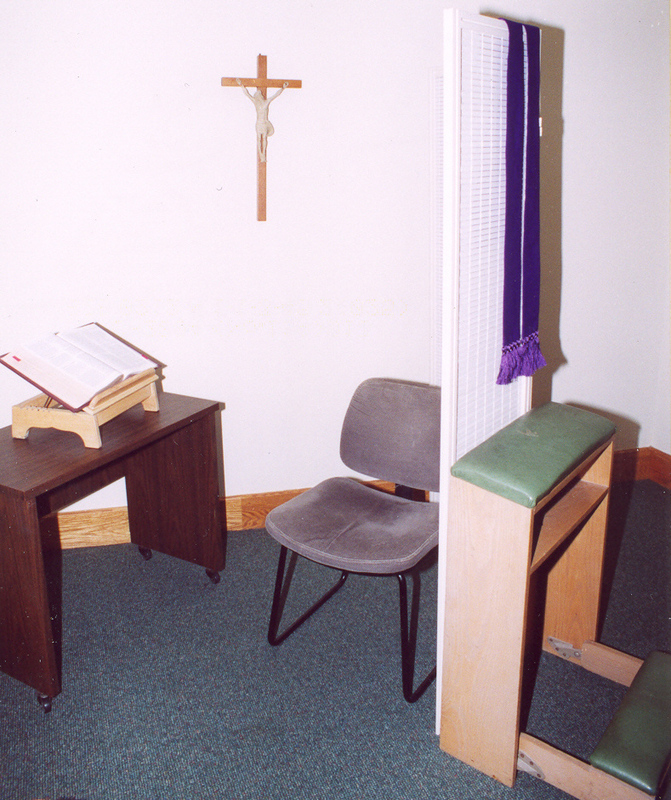 Let us pray that many people come to Confession this Lent - where God's mercy reigns supreme; where sinners are healed and reconciled to God; and where penitents find the courage and strength to begin anew, full of the hope that with Christ, all things (especially a life of virtue) is possible.